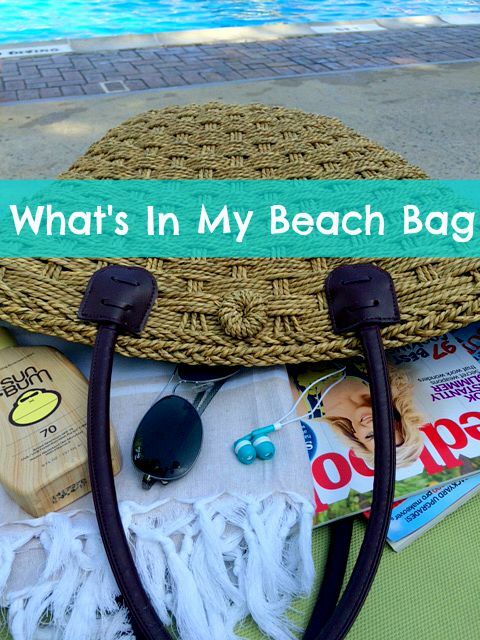 My beach bag is always stocked and ready to go. We don't make it to the pool or beach every day, but on those days when the stars align, we make it to one or the other. And today, the stars and moon must have been in perfect alignment because I was able to go to the pool by myself. Myself, people!! This is a rare occurrence, and I took advantage of it. First things first. You need a sturdy and stylish beach bag. Mine is from San Diego hat company. It's a few years old and no longer available, but this bag is similar and just as cute. I was first introduced Sun Bum sunscreen last fall during our annual vacation in Captiva, Florida. It quickly became my favorite sunscreen. I've bought the lotion, the spray, the stick, and the lip balm. Seriously, it's just THAT awesome. Don't believe me? Read my full review here. You'd be cah-razy to hit the pool or beach without your favorite pair of sunnies! For me, it's this pair of Ray Ban aviators. Two years ago, I worked on a campaign with Aveeno through a client. As a thank you, Aveeno sent me a gift bag and in it included a Turkish towel. Ever since, I have been hooked and haven't used a traditional beach towel. Turkish towels are lightweight and airy and are perfect for throwing over your chaise on the beach or at the pool. For the beach or pool, I like to read magazines. Books are great, but I need uninterrupted time for a book, and I just don't get that when I am with my girls. So, magazines work great since I can put them down when the girls want me to take a picture or a video or when I want to dip my feet in. My favorites: Redbook, InStyle, US Weekly, Food Network, and Real Simple. When I am not reading a magazine, I can usually be found listening to a podcast. A pair of comfortable earbuds is a must. You can find them at your dollar store for just $1 or if you want to invest a bit more, you can go big and purchase a pair of Bose earbuds. They are available in any price range, and of course, the quality ranges. I am perfectly content with my $20 pair of Sony earbuds. Hair that's been exposed to sun, salt, chlorine, and sand becomes a dry, tangled mess. I spritz on leave-in conditioner to help manage the tangles and keep my hair smooth and shiny. In the event that I am going straight from the beach to dinner or cocktails, I like to lather on an after-sun moisturizer. 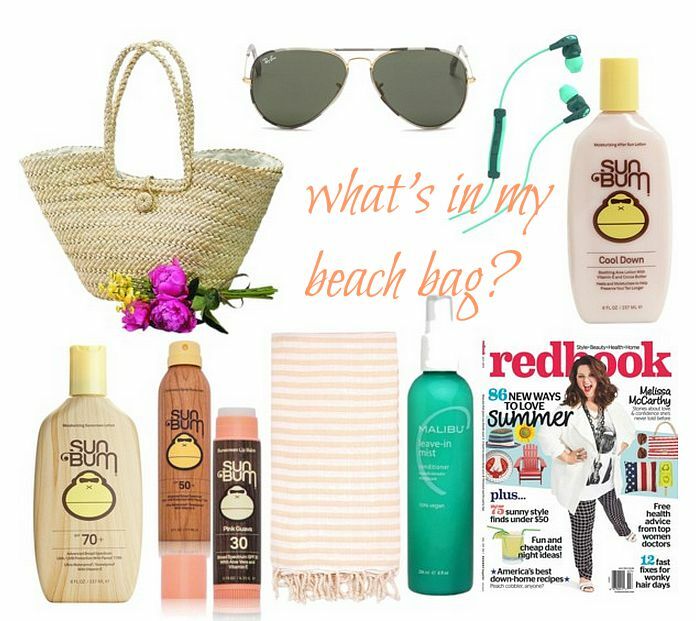 Sun Bum makes a lotion and a gel that are perfect for cooling down and hydrating the skin.